‘LE WEB PARIS 2013 – CONFERENCES – PLENARY 1 – TRAVIS KALANICK’ by LeWeb13, © 2016, Flickr, licensed under Creative Commons Uber CEO Travis Kalanick. Uber CEO Travis Kalanick rocked up at the Axel Springer NOAH Berlin tech conference in the back of a comical yellow car on Wednesday. The entrepreneur was driven a short distance in a roofless Trabant (a popular car in East Germany before the Berlin wall came down) that happened to resemble a taxi. Kalanick was one of three people in the vehicle, which parked up alongside the stage as the Rocky theme tune (“Eye of the Tiger”) was played was played in the background. Kai Diekmann, ‎editor-in-chief of German newspaper Bild, drove the Trabant and repeatedly beeped its horn, while Daimler CEO Dieter Zetsche sat in the back next to Kalanick. It’s unclear whose idea the stunt was but their arrival was met with laughter from the audience of entrepreneurs, investors, and other tech workers. 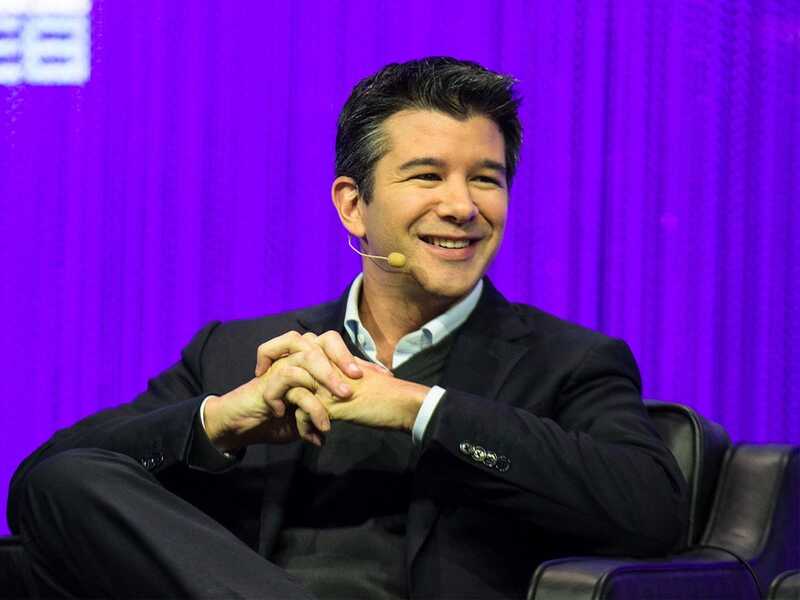 Kalanick — whose company is valued at over $60 billion (£41 billion) — went on to give a keynote presentation about how Uber is helping cities around the world to become greener, talking specifically about the company’s UberPool service, which allows people to share a ride if they are travelling in the same direction. One of the key announcements from Kalanick was the fact that UberPool, a cheaper and greener version of Uber’s standard service, now accounts for 40% of all rides in San Francisco, California, and 20% globally. Following his keynote, Kalanick was quizzed by Diekmann on a number of topics, including when Uber plans to IPO, whether Uber has considered buying a car company, and why Uber chose to accept $3.5 billion from Saudi Arabia. In response, Kalanick said: Uber will IPO at some point in the next one to 10 years; Uber would rather work with people that build cars as opposed to make them itself; and Uber is helping women in Saudi Arabia to get around. Kalanick added that San Francisco is almost a $1 billion (£687 million) city for San Francisco. The full video of Kalanick arriving at Noah Berlin can be seen below.